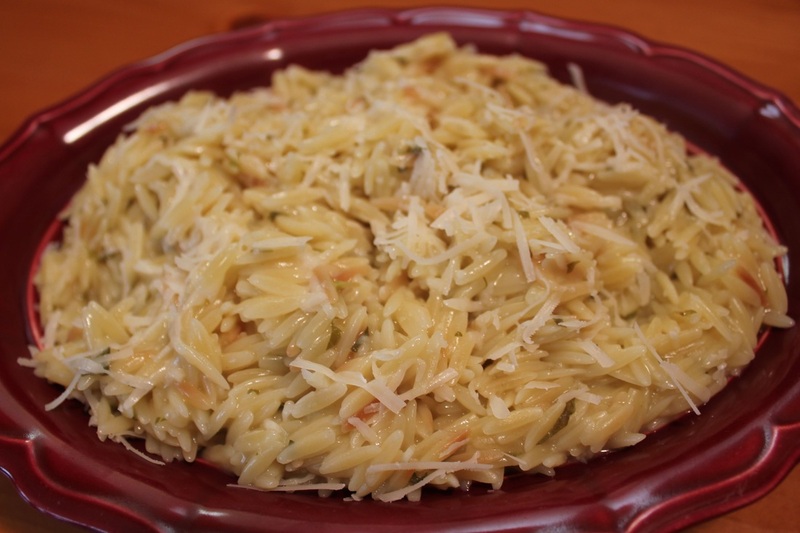 Simmered with lemon and mint, this orzo side dish tastes like summer! This makes a wonderful accompaniment with a light chicken, seafood or fish entree. Add the oil to the hot pan, saute garlic and orzo until the orzo is golden. About 2 minutes. Slowly add the broth, wine, lemon juice and mint. Bring to a boil. Lower heat to medium and simmer for 15-20 minutes, stirring often. Stir in the freshly grated cheese just before serving.